Got a season with your name on it? We’ve got a seasonal craft beer for you. 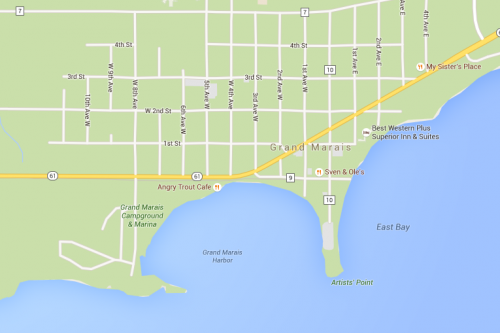 Throughout the year we’ll have different seasonal craft beers on tap in our Grand Marais Taproom. Some we’ll bring back year after year while others may just appear one time. 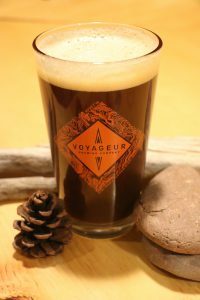 We have descriptions of some of our more popular seasonal beers here and invite you to try one the next time you visit Voyageur Brewing Company. 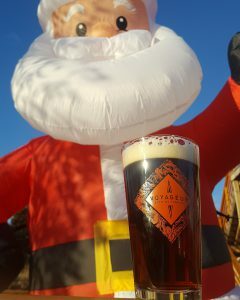 Our Red Sash Irish Red Ale pairs perfectly with Santa’s red velvet suit. 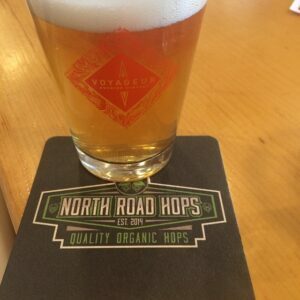 Voyageur’s session IPA is crisp and light. Copious amounts of hop oils contribute to a full bodied and resinous ale. Citrus, stone fruit and grapefruit aromas compliment a larger than life beer that’s easy to drink and won’t weigh you down. The term Session dates back to WWI era England when workers were given two drinking periods or “sessions” of four hours each to drink beer while on the job. The lighter beers with lower alcohol content allowed workers the ability to enjoy a number of beers without getting too tipsy. Brewed with wet, whole cone hops from North Road Hop Farm in Cook County. Picked from the field, transported to the brewery and made into a fresh tasting seasonal delight. Brewed with thoughts of our Northern Minnesota fleeing autumn sun, this beer lets you savor the sweetness of summer as another season slips behind the horizon. Those seeking adventure are never quite ready to let summer go, but winter in the northwoods offers a multitude of opportunities for thrills, contemplation and challenge. A winter fruit that tastes like summer, our grapefruit IPA is perfect for the transition from one season to the next. Cold Hunter is a smooth, clean Irish Stout with lactose added to provide a creamy, full-flavored pint that starts sweet yet finishes dry. The pursuit of a cold beer could be the start of your adventure from the couch to the refrigerator, and then to the backyard or a lake. We all seek a cold beer from time to time but far fewer seek a cold mountain. Our resident adventurer Lonnie Dupre has sought cold for over thirty years. 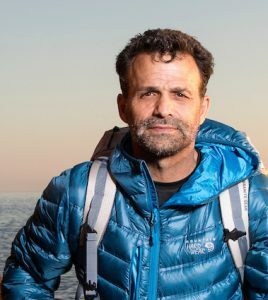 Alaska, Russia, Canada, Greenland and the North Pole have all been hosts to his Arctic pursuits. This year marked his first attempt at a solo climb of Hunter Mountain in Denali, Alaska. Narrowly escaping death by using his ice axe to arrest his fall into a crevasse, he survived but didn’t reach the summit. He named his solo expedition Cold Hunter One for his first attempt of summiting Mount Hunter in the winter. High wind, deep snow and extreme cold are not things the average person seeks. This beer meets that stubborn lust for adventure in pursuit of new discoveries and a comforting reward at the end of your journey. We hope this beer brings you every bit of satisfaction and contentment that the top of a cold mountain brings Lonnie. An aggressive yet balanced Double IPA with a strong grapefruit and tropical fruit nose backed up with a prominent hop flavor and slight lingering bitterness. The boreal forest is a land of extremes and the place we call home. Its unique characteristics include ancient rock covered in delicate moss and lichen, pristine lakes fed by melting snow, and jack pine seeds released by fire. We are transformed by the harshness like the trees whose branches have adapted to shed snow without breaking and the animals who change the color and quality of their fur in order to survive. We are rewarded with silence, star filled skies and the ethereal aurora borealis. Our Boreal Double IPA is sublimely smooth and deceptively strong and is our tribute to the fire and ice that inspired it. Our home is unlike any other, and we welcome you to be a part of it. The joy a winter’s day provides cannot be overstated. Sunlight makes the snow sparkle and inspires winter whimsy. There may be no better embodiment of such joy than a playful otter sliding across a snow covered landscape into the open water. With graceful glee, otters turn a powder covered hill into a playground. In the spirit of those otters, we have created an Imperial Brown Ale combining a sweet maltiness with maple syrup and peanut butter. So, the next sunny winter day that comes along, grab a bottle of Otter Slide and indulge your inner otter. Those who have ventured out after dark on a long winter night may have been witness to one of the most subtly beautiful settings we northerners can experience. On a clear night after a fresh snowfall with a full moon high above, no light is needed to help you guide your way. In the stillness and the silence on such a night, the moon casts a long soft shadow, one which you can follow endlessly into the peace of the winter darkness. It is exactly such a night that comes to mind when sipping on our Moonshadow Mocha Stout. Soft and subtle with an understated brilliance, this is a pint which invites you into the darkness and ask you to linger for a while. 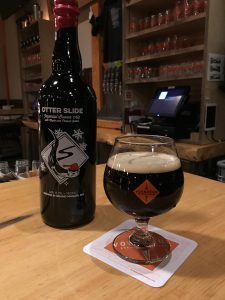 With rich dark malts, a touch of sweetness and a delicate interplay of coffee and chocolate, this beer, much like those fleeting winter nights, won’t be around for long. A stronger, more distinct version of our IPA, Boreal Imperial IPA features the same mix of American and New Zealand hops used in our Devil’s Kettle, but emphasizes their natural citrus notes. The increased alcohol content of the Boreal allows the orange and tangerine notes from the Rakau and Waimea hops to stand out more distinctly. 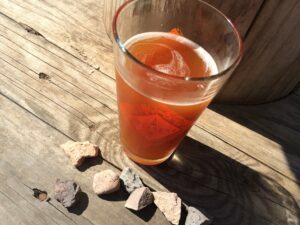 The sweetness of the increased malt backbone also helps to offset the bitterness of the hops without contributing a boozy flavor to the beer. 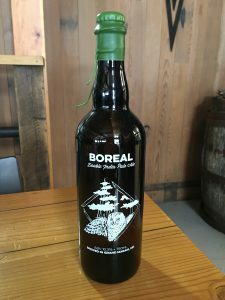 Sublimely smooth and deceptively strong, the Boreal Imperial IPA may just have you dancing like the lights it is named for by the end of the night. For those intrepid Voyageurs who traveled this area before us, the red sash was an item of both utility and identity. 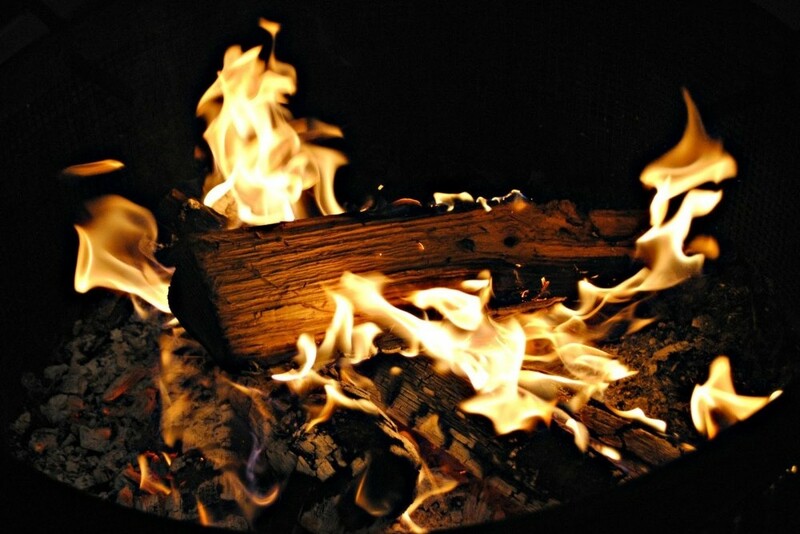 At times it was used to ensure warmth on a blustery night, others as a tumpline for portaging and sometimes it was traded as currency during the fur trade. In honor of those explorers and the legacy of exploration we have created a beer we feel is equally important for your adventures in the wilderness. Red Sash Irish Ale is a smooth, malty Irish red ale with just enough alcohol to warm you on a cold northern night. Lightly hopped, the crystal malt and roasted barley are allowed to take center stage in this beer providing caramel and toffee notes. As you prepare for your favorite northwoods adventures, be sure to grab a growler of our Red Sash Irish Ale and know it will be just as valuable as the sashes used by Voyageurs long ago. Traditionally, Saisons or Farmhouse Ales were brewed by farmers in the Wallonia and Flanders regions of Belgium to quench the thirsts of seasonal farmhands or saisonniers. Although often quite different from farm to farm, these beers were light in color and body, refreshing with a bit of tartness, and sturdy enough to not spoil during storage. With the summer season at hand and our own version of saisonniers joining our community, we felt it was the perfect time to release our take on this traditional style. Golden colored and a bit hazy, our Lakeview Farmhouse ale combines a mild bite from Triskel hops with a light malt bill to provide depth and background to the yeast which defines the beer. The distinctive yeast we selected provides a subtle lemony tartness to the flavor and adds fruit and floral notes to the aroma. 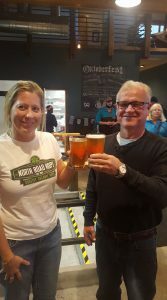 We are proud to be one of only two breweries in Minnesota taking part in the Ales for ALS is a program organized by Loftus Ranches and Hopunion. As a participating brewery, we were provided with a proprietary hop blend put together by some of the best brewers in the country to use in a beer which would help raise money and awareness for ALS research. To feature the hop blend, which contains the sought after hops Equinox and Mosaic alongside a selection of experimental hop varieties, we have incorporated them into a Summer Ale. The malt bill we have used keeps the body and color very light and offers a dry, cracker-like breadiness as a background to the hops. The English Ale yeast provides a subdued English character to the beer while remaining fairly neutral on the palate. To complement the hop blend, we added Grains of Paradise to the boil to provide a bit more complexity to the flavor without detracting from the hop blend. Front and center, however, are the hops and the citrus, tropical fruit, herbal, and pine notes they bring to the finished flavor. Enjoy our contribution to the Ales for ALS program and cheers to you for helping out a great cause! The end of winter is always an exciting time of year. The promise of longer days and warm weather brightens the mood of all of us who have survived through another season of cold, blustery months. Winter isn’t truly over, though, until the lakes have thawed and the ice is out. Once the last remnants have winter have finally stopped reminding us of the cold that will come again, the real work of enjoying the summer can begin. With those days in mind, we have combined two different styles to create a light, smooth, and brilliantly clear beer perfect for celebrating the open water. Borrowing the traditional Pilsner malt and Saaz hops found in most pilsner beers and fermenting it with a unique lager yeast used for making California common beers, our Bohemian Ale has all of the flavor of an ale with the smoothness of a lager. Here’s to a day on the lake, your favorite swimming hope, or just an evening sitting on the end of the dock. Grab a growler and celebrate the Open Water. A unique German beer style, Roggenbier combines the sweetness of wheat with the spicy notes of rye to create a distinct flavor combination you won’t find in any other beers. With temperatures cooling and the knowledge that winter is coming, we wanted to create a beer that matched the season. A pint of Maple Hill captures the bliss of a perfect fall evening amongst the fallen leaves sitting in front of a warming fire. The unique earthiness provided by the roggenbier blends perfectly with a subtle smokiness and maple undertone. If you aren’t enjoying this beer from you growler on Maple Hill or at one of the other beautiful spots in our area, stop in to sit by our fire and try one. Winter in the north is a dark and dangerous time, a time of bitter cold and endless nights; a time when basic necessities are difficult to find and mean the difference between life and death. During these frigid months, most escape the white wasteland to the comfort and safety of warmer climates and tamer lands. There are, however, those hardy individuals who not only remain behind to brave the harsh environment, but relish in the challenge it presents. Those overwinterers have a name, they are called Hivernants, and they are a unique bunch who reject the security of escape so that they can find the beauty and bounty that only winter can provide. It is for those courageous souls that we have created a beer which captures not only the strength of the Hivernants and the blackness of those winter nights they face, but also the sublime beauty which compels them to face those bleak times of endless nights and bitter days. In the northwoods, May is mud season. The snow has finally melted, the spring rains have come, and the wilderness has begun to awaken from a long winter’s slumber. With the wetness of spring, however, come slippery trails, murky rivers, and mud thick enough to fill in the gaps between the lugs on your boot soles. In May, we northerners may put away the winter boots, but we can’t just jump right into our summer footwear, instead we break out the mud boots to keep our adventures going in the warmer, wetter weather. In honor of those dependable footwear which keep us on the trail, we have made a beer which is just as trusty and is sure to keep you exploring. Muddy Boots Maibock is our version of a traditional German style brewed to bridge the time between the darker beers of winter and light summer beers. With a smooth malt-driven flavor, a light body, and enough hops to keep it from being too sweet, Muddy Boots Maibock is a much needed companion for your spring adventures. 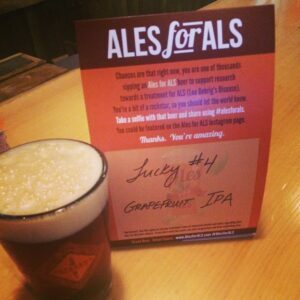 Our contribution to the 2016 Ales for ALS program, lucky #4 is a hoppy, citrusy celebration of summer. A simple malt bill and big dry hop allow us to feature the experimental hop blend sent out to participants of the program this year. A few pounds of grapefruit peel added to the boil balance the bitterness and amplify the citrus aroma provided by the unique blend. As a fund raiser beer for ALS research, we figured a nod to the man who made the world aware of ALS, Lou Gehrig. So raise a pint to #4, the “luckiest man on the face of this earth”, and to finding a cure for the disease which cut his greatness short. In honor of Independence Day and, with it, the start of busy season along the North Shore, we have released our take on an American classic. American Point is an American Pale Ale featuring Cascade and Ahtanum hops, two American originals. APAs are generally the style credited with starting the craft beer boom in the U.S. With a light body and hop driven flavor which distinguished them from the light lagers the big breweries were releasing at the time, APAs opened up a world of possibilities to beer drinkers throughout the country. 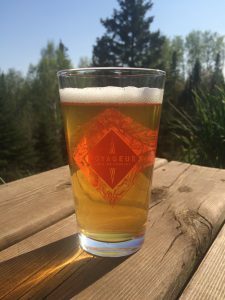 A bright mix of sunny citrus and pine, American Point APA, much like it’s namesake at the end of the Gunflint Trail, is the perfect place to start your adventure. 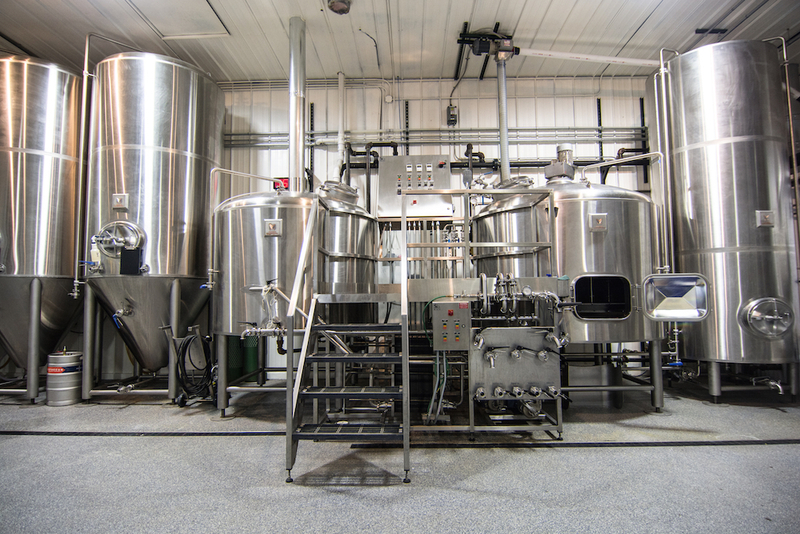 Stop into the brewery for a pint or a growler and start your explorations. A new adventure is just around the point. A traditional cloudy German dark wheat beer, our dunkelweizen features a smooth sweetness with banana and vanilla notes imparted by the yeast. A very lightly hopped beer, dunkelweizens rely on caramel malts and yeast esters to create a very balanced, yet complex flavor. Although its lighter cousin, hefeweizen, has found fans in the US, dunkelweizen can be a little harder to find outside of Germany. We wanted to feature this lesser known style to give you a chance to try a truly special style. Don’t miss out on this unique German beer. Prost! Have you ever been to a wedding celebration that was truly unforgettable? How about one that has been going on every year for over 200 years? Well, with a pint of Oktoberfest, you are a part of the celebration of Crown Prince Ludwig and Princess Therese. What started originally as a wedding celebration in 1810 has turned into the largest folk festival in the world, one famous for its beer, food, and festivities. Modeled after the traditional beers made for this celebration, our Oktoberfest is a malt driven lager with enough German hops to provide balance. A dry finish and light body help create a beer ideal for a long night of celebrating. Enjoy a pint and help us celebrate and when you find yourself singing along to “Ein Prosit der Gemütlichkeit,” be sure to raise your glass and enjoy what turned into the biggest wedding reception in history.